This is quick Illustrator CS3 tip which will help you to save time. 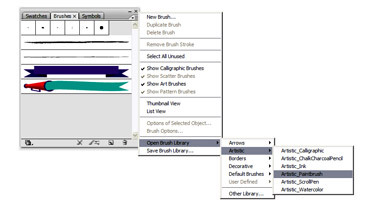 There are 3 ways for loading the Brush Library. So let’s see how to do it using the Brush Library icon. As you can see in the screenshot given above, it takes 3 menu levels to reach the brush libraries. 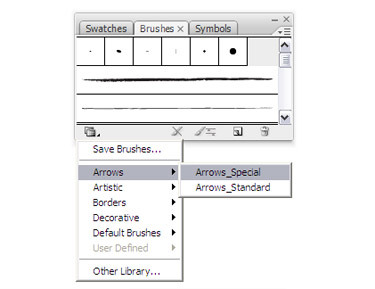 If you use the “Brush Library Icon” in the bottom left corner of the brushes palette, you can eliminate the first menu and jump strait to the libraries.